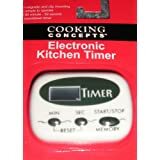 Someone has already tried to hack a 1$ kitchen timer to add a relay ? BTW if someone looking for a 1$ challenge its a good idea. Sounds like a good idea, I haven't seen that device here. Do you have a link to it? I supposed that we should rectified and filtered the audio signal output for drive an SCR. And this SCR will driving the relay. Maybe we will be forced to amplify the signal before rectified it. I always find it amazing what can be found for a dollar in that store. You could put it in alarm mode and poke around the circuit to see if there is anything that just goes high (or low) when in alarm. Very often a generic mass produced chip is used in these types of devices that could have an LED output or something similar. Even if it isn't used you may be able to fine the pin and tie into it. If there is no easy way to tie into the circuit then you are right that amplifying the buzzer output will probably be needed. A simple op-amp should do the trick. Instead of rectifying the signal you could just use a small capacitor. Give me the time to build my little project and i ll be back with some pic and schematic. Cool! Funny thing is I was in a Dollarama on the weekend and saw the timer you are using. I am looking forward for more details. Hmmm, very interesting.. It would be very useful to me. Could you add an LED to turn on/off with the count up timer function. So the timer would tell how long the LED was lit?